Arsenal put in a five star performance against Bournemouth. Arsenal's top four push looks to be building up ahead of steam as they dismantled Bournemouth 5-1 at the Emirates. The Gunners were fluid and ruthless in attack as Mesut Ozil opened the scoring before Henrikh Mkhitaryan made it two in the first half. Eddie Howe's side fought back as Lys Mousset found the net, but Laurent Koscielny, Pierre-Emerick Aubameyang and Alexandre Lacazette all scored in the second half to seal a brilliant three points for Arsenal. Arsenal's start, as it had been against Southampton, was lightning quick. Against the Saints on Sunday it took just six minutes for the Gunners to open the scoring. On Wednesday evening it was two minutes quicker. Ozil's game time has been limited of late but he made full use of just a second Premier League start in 2019. 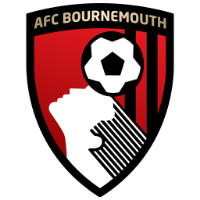 Sead Kolasinac cut open the Bournemouth defence and found the German who with a trademark finish, hit the ball into the ground and over Artur Boruc for 1-0. Unai Emery's men had started the game full of life and full of intensity. Something that enabled them to achieve a second goal. Adam Smith's woeful cross-field pass was cut out by Mkhitaryan who then exchanged passes with Ozil on the edge of the box and found the back of the net from close range. It was a second goal in as many matches for the Armenian. But Bournemouth came back fighting, this time it was a mistake by a man in red which led to the ball ending up in the goal. Matteo Guendouzi dwelled on the ball just outside of the box, before being dispossessed by Dan Gosling. He was then able to tee up Mousset who was left with a simple finish. Emery had changed his system from the four at the back he started with at the weekend as he reverted to a three-man defence and the Cherries could easily have been more in the game than they were going into the break. Before their first goal and Arsenal's second, Ryan Fraser raced clear of the defence, only for Bernd Leno to make a tremendous stop to his left to keep him at bay. Laurent Koscielny then flung himself in the way of Gosling's follow up effort. 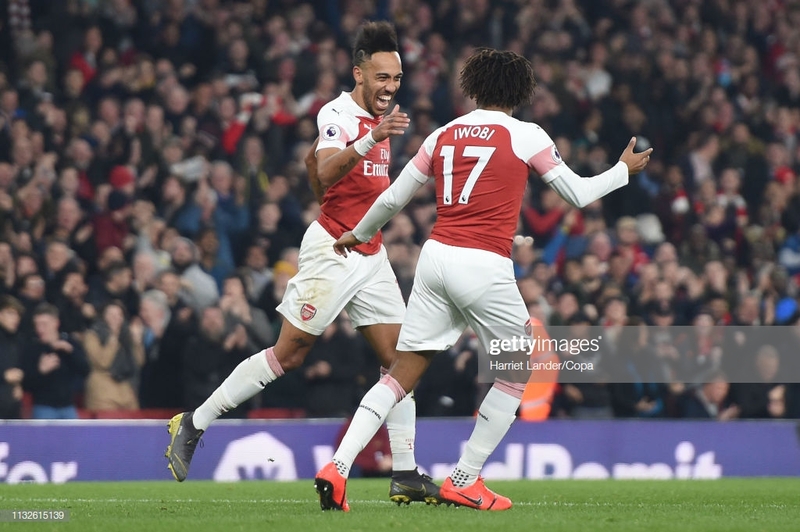 The end to the first period had been nervy for the Gunners but within the space of a few second-half minutes they were able to restore their two-goal advantage. Mkhitaryan received the ball down the right and drove towards the byline before picking out Koscielny. He got a foot to it and managed to add a third via what was a very unfortunate deflection for the visitors. There was a pause initially as referee Chris Kavanagh checked it had crossed the line but the ball was over by quite a margin. During the second half of Arsenal's game with Southampton, their performance levels dropped. There was no such issue this evening as they notched another goal just before the hour mark. The outstanding Mkhitaryan slipped in Aubameyang who raced clear of the defence, rounded Boruc and then found the empty net. Before that, a deflected effort from Gosling had hit the bar and come back out for Bournemouth but Arsenal were now in the groove. Emery had the luxury of bringing off Mkhitaryan and on came Alexandre Lacazette. With his first touches of the ball, he almost made it five, but good defending from Nathan Ake and then a save from Boruc were enough to stop him. But Lacazette did get his goal, as he added a fifth to what was a five star Arsenal performance. He stepped up to a free-kick after Lucas Torreira had been fouled and sent it over the wall to cap off a fine Gunners display. After defeat to Manchester City earlier in February it looked as though Arsenal's top four hopes may be in doubt. However, as we approach the business end of the season their attempts of gaining qualification for the Champions League next season may just be building momentum. 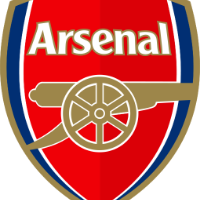 The Gunners game with rivals Tottenham on Saturday will tell us more, but the attacking fluidity Arsenal have found in their last two matches is extremely encouraging. There have been question marks over Mkhitaryan's Arsenal performances. The levels he found at Borussia Dortmund before he arrived in England haven't really been found but his performance against Bournemouth was magnificent. He was at the heart of everything good the Gunners did, scoring a goal and claiming two assists. The night may have been all about Arsenal's attack, but it was another night to remember for Jenkinson. The right-back hadn't started in the Premier League for 830 days, when Arsenal drew 1-1 with Manchester United at Old Trafford in November 2016. His performance was assured and full of desire which will surely have Emery thinking about his right-sided options in defence. Bournemouth were missing a number of key players for their trip to the Emirates and it showed. They had to make do without Callum Wilson, David Brooks and Junior Stanislas whilst Jefferson Lerma was suspended. The Cherries were essentially down to the bare bones as they were torn apart in the second half by Arsenal.